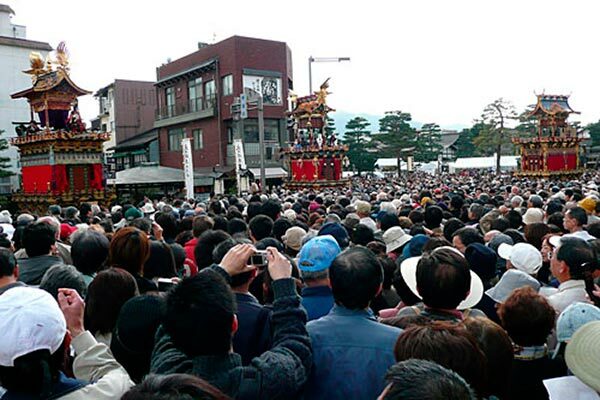 Said to be one of the most beautiful festivals in Japan, the Sanno or Takayama Matsuri is held each April. The festival is located in Takayama, a rather unassuming town near Kanazawa. 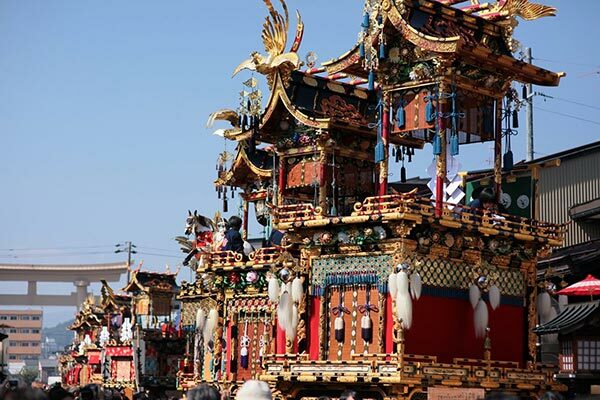 The festival uses floats, called yatai, made from centuries-old structures that have been decorated with silk, lacquer and carvings. Because of the delicacy of the yatai, the festival can only take place when the weather is good in order to protect these historic structures. The weekend of the festival, this small sleepy town woke up and became invested in the festival atmosphere. Colorful streamers and paper lanterns were hanging outside many of the shops and homes, and piles of tourists began making their way to the city. In the early morning on the first day of the festival, the 12 yatai are all put on display throughout the streets for visitors to look at. The floats all remain on display until the night festival procession, although they are put back on display the following day. There are also marionette performances put on as puppets emerged from the floats. They danced to traditional music and told stories. Expect large crowds, so claim a spot early! In the afternoon there is a parade of sorts called the Gojunko Procession. It begins at the local shrine and is filled with musicians, performers in colorful costumes, and people carrying around deities on portable shrines. 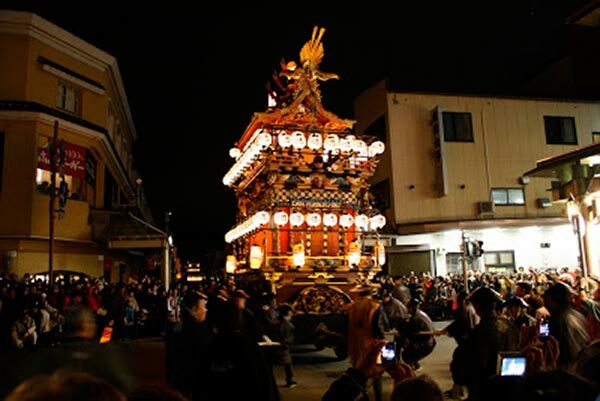 While all of these are great events to attend, I would say the highlight of the Takayama Spring Festival is what is known as the “night festival”. It is during this procession that the yatai are decorated with paper lanterns before being pulled throughout the city by giant ropes. As the groups of men work together to heave the giant floats across the city, music is performed in rhythm according to their movements and chanting. They looked incredibly heavy, even with a large group helping out to pull them. With the glow of the lanterns, the yatai appeared to be gliding beautifully through the moonlit streets. If you are considering visiting for this festival, do it, as you will not regret it. However, due to the small nature of Takayama, accommodation fills up very quickly including in the nearby towns. We needed to book well in advanced, so make sure to do so as well in order to witness this beautiful event.